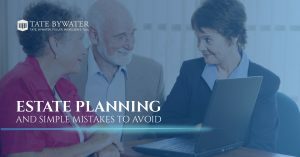 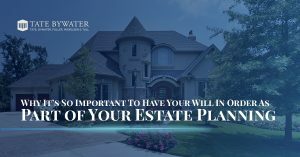 Since 1972, Tate Bywater Law has been providing the good folks of Virginia, Maryland, and the District of Columbia with the estate planning legal services that they require and deserve. 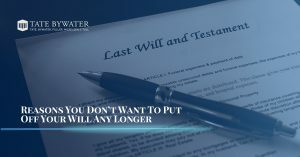 Our wills, trusts, and estate planning legal services are thorough: wills and trusts including living trusts, care of minor children and guardianship, designation of executors and beneficiaries, and beyond. 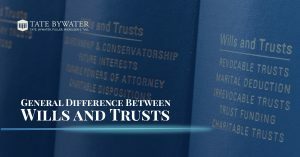 We can assist you with anything from will disputes to trust, will, and probate administration. 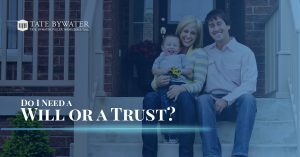 If you are looking for probate and estate administration from a local estate lawyer that you can trust, schedule your free consultation with Tate Bywater.